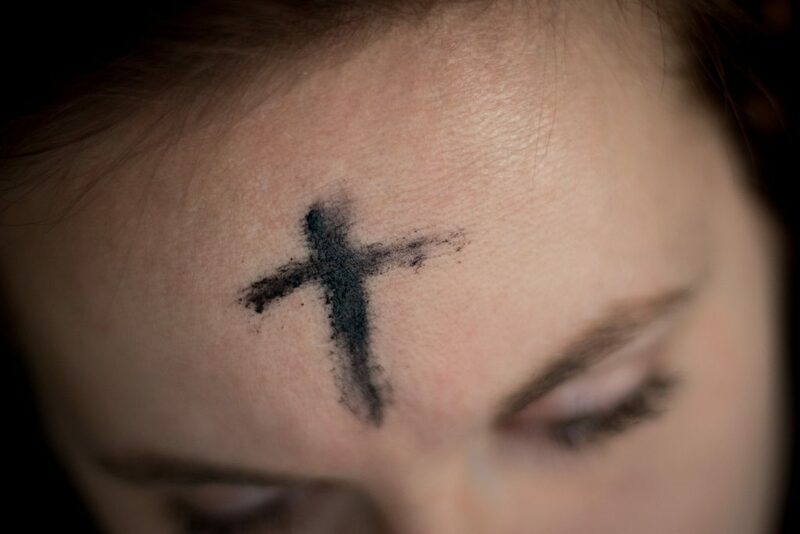 Did you know that Ash Wednesday is the most attended mass for all Catholics in the United States? And it’s not even a required mass to go to, in the way Sunday masses and Christmas and Easter are. It’s ironic that we flock to this mass in particular – because isn’t it uncomfortable? Shouldn’t we avoid this mass in favor of the joyful Easter and Christmas celebrations? Remember you are dust. Remember you are nothing. You are speck of dirt in the grand scheme of eternity. And to dust you shall return. One day you will die; we all will. And our bodies will be buried and absorbed by the earth, and then one day, we will be forgotten from all memory. Our faith is full of uncomfortable notions: God becoming a baby. Being born of a young, poor, virgin woman. Living as a carpenter who became a preacher who was killed as a criminal. The first shall be last. Love your enemies. Bread and wine becoming body and blood. Ash Wednesday reminds us that we are supposed to be uncomfortable. Jesus never promised us good feelings. He never promised that we wouldn’t have any suffering. In fact, He promised the opposite – He promised that if we decided to follow Him, we would have to carry heavy crosses, we would be challenged to live lives of radical forgiveness, justice, self-giving love. But, Jesus also promised that He would journey with us. He would help carry our burdens, would offer us healing and forgiveness when we failed, would fill us with His Spirit and give us strength. So, my theory for why Ash Wednesday is so popular is that in a world that encourages us to take the easy route, to streamline our lives, to get rid of anything that is uncomfortable – we long to be challenged. We long to be part of something bigger than ourselves. We long to be uncomfortable, because when we are uncomfortable, we are more likely to work to change. For me, prayer is a place where I am often challenged to be uncomfortable. I’m one of those people who secretly likes being upset – I often hold grudges, I enjoy being a little dramatic, I stubbornly stand my ground, even when I know I’m wrong. But prayer makes me get over myself. If I’m honest in prayer, I see myself clearly, and see that the way I’m acting is a bit ridiculous. Prayer makes me admit my weakness and ask forgiveness. It doesn’t let me hold grudges. It pushes me to resolve disagreements, to focus on the good from the day instead of the hard things. It reminds me that I’m not the center of the universe, but rather that I am here to love, serve, give. And it’s in that state of being uncomfortable where I am pushed to be better. Today we are reminded that we are dust and to dust we will return. So I’m going to challenge myself to lean into being uncomfortable. To enter into these 40 days of Lent with the hope that by being honest in prayer, I will lean on God. That as I am made more aware of my imperfection, I will in turn be reminded that I need only reach out, and the God who loves us so much that He gave everything is right there beside me. How are you hoping to be challenged this Lent?